Edith Stein (October 12, 1891 – August 9, 1942) was a German philosopher, a Carmelite nun, martyr, and saint of the Catholic Church, who died at Auschwitz Auschwitz because she was also a Jew. She converted to Christianity in 1922 and was baptized into the Roman Catholic Church. After a career of teaching and writing in Speyer, Germany, she gained a reputation as a leading thinker on Catholic women's issues. In 1933 she attempted unsuccessfully to influence Pope Pius XI to speak out against the campaign of Nazi hatred against the Jews. After the Nazi anti-semitic legislation forced her to resign from her teaching post, she was received into the Discalced Carmelite Order in 1934. As the Nazi campaign against the Jews intensified, she was secretly transferred to a convent in the Netherlands. Then, when the Nazis captured Holland, the Dutch Catholic Church denounced Nazi racism, and the Nazi regime reacted by ordering the arrest of all Catholics in Holland of Jewish descent, who had earlier been exempt from persecution. Stein was sent to Auschwitz and died with her fellow Jews on August 9, 1942. She was canonized as Saint Teresa Benedicta of the Cross (her Carmelite monastic name) by Pope John Paul II in 1998. However, she is often referred to simply as "Saint Edith Stein." 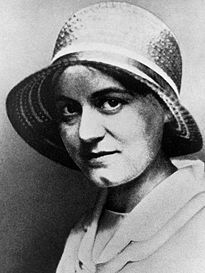 Edith Stein was born in Breslau, in the German Empire's Prussian Province of Silesia, into an Orthodox Jewish family. Her father died when Edith was a toddler, leaving her mother a widow with seven children to raise. In her teenage years, Edith stopped observing the Orthodox tradition and considered herself an atheist. However, she continued to admire her mother’s personal standards, inspired by her faith in God. A brilliant student, Stein was one of the first German women admitted to university studies. At the University of Göttingen, she became a student of Edmund Husserl, the founder of the philosophical school of phenomenology, whom she followed to the University of Freiburg as his assistant. Her philosophical studies led her to question her atheism, and she was further influenced by several Jewish friends who had converted to Christianity. In 1916, she received her doctorate of philosophy with a dissertation under Husserl, "On The Problem of Empathy." She then became a member of the faculty in Freiburg. While Stein had earlier contacts with Catholicism, it was her reading of the autobiography of the mystic St. Teresa of Ávila on a holiday in Göttingen in 1921, that caused her conversion. Stein, then 29, was vacationing with friends when she happened to pick up the book by the founder of the Carmelite Order, reading it in one sitting. She decided to buy a missal and a copy of the Catholic catechism the next day, and was baptized the following January. She hoped to enter the Carmelite Order immediately, but her spiritual advisers counseled against this on the grounds that her entering the Carmelite cloister so soon after her conversion would be cruel to her Jewish family, especially her mother. They also realized that her skills and training as a speaker and writer could be put to good use in a more public setting. Stein thus gave up her assistantship with Husserl and taught at a Dominican girls' school in Speyer from 1922 to 1932. While there, she translated Thomas Aquinas' De Veritate (On Truth) into German and familiarized herself with Catholic philosophy in general. Her spiritual director, Abbot Raphael Walzer, wrote of her “tender, even maternal, solicitude for others," describing her as "plain and direct with ordinary people, learned with the scholars, a fellow-seeker with those searching for the truth." As a child of the Jewish people who, by the grace of God, for the past eleven years has also been a child of the Catholic Church, I dare to speak to the Father of Christianity about that which oppresses millions of Germans. For weeks we have seen deeds perpetrated in Germany which mock any sense of justice and humanity, not to mention love of neighbor. For years the leaders of National Socialism have been preaching hatred of the Jews. But the responsibility must fall, after all, on those who brought them to this point and it also falls on those who keep silent in the face of such happenings.—Letter to Pope Pius XI. The Pope did not respond to Stein's letter. Anti-Semitic legislation passed by the Nazi government soon forced her to resign her teaching post at Münster. Stein entered the Discalced Carmelite monastery at Cologne in 1934 and took the name Teresa Benedicta of the Cross. There she wrote her metaphysical book Endliches und Ewiges Sein, which attempts to harmonize the philosophies of Aquinas and Husserl. She remained there for five years, participating in the life of the community while continuing her writing. However, after the Nazi regime organized the murderous anti-Jewish kristallnacht riots of November 9, 1938, the convent secretly transferred her to the Carmelite monastery at Echt in the Netherlands. There she wrote Studie über Joannes a Cruce: Kreuzeswissenschaft ("The Science of the Cross: Studies on John of the Cross"). However, Stein was not safe in the Netherlands, as Holland soon fell to the Nazis. Plans were made to move her to Switzerland, but events were moving too quickly to prevent disaster. When the Dutch Bishops' Conference had a public statement read in all the nation's churches condemning Nazi racism on July 20, 1942, the Reichskommissar of the Netherlands, Arthur Seyss-Inquart, retaliated by ordering the arrest of all Jewish converts to Catholicism on July 26, 1942. On August 2, Stein was transported by cattle train to the death camp of Auschwitz, where she died in the gas chambers on August 9. Stein's younger sister Rosa, also a convert, died there as well. Stein was beatified on May 1, 1987. Originally, she was to be beatified as a confessor, which requires two confirmed miracles, but this was changed to "martyr," which only requires one. Pope John Paul II indicated that her canonization represented a way for the Catholic Church to identify with Jewish suffering under the Nazis. Some Jewish groups, however, challenged the beatification, pointing out that a martyr is, according to Catholic doctrine, someone who died for his or her religion, but Stein died because she was a Jew, not because she was a Catholic. Some also felt her beatification represented an attempt by the Catholic Church to appropriate the Jewish experience of the holocaust. Other Jews came to see Stein as a bridge between Catholics and Jews, as she had been an outspoken supporter of Jewish rights, even daring to write Pius XII to urge him to take a stand for the Jewish cause. By the time of her canonization on October 11, 1998, some of the opposition to her sainthood had dissipated. Dialogs between the papacy and Jewish leaders both before and after Stein's canonization contributed to the Pope's formal apology to the Jews for the Church's role in historical antisemitism on March 13, 2000. Beyond her significance as a saint and martyr, Edith Stein contributed important intellectual works in the fields of philosophy, women's studies, theology, and education. In all of these, she approached her subject intentionally and self consciously as a woman. Most of her writing on women came from the period between her conversion and her entry into the Carmelite community. Stein believed that women needed to be educated not only as human beings, but also specifically as women. She rejected the feminist view the differences between men and women are societally determined, rather than inborn. However, she did not insist that university women study a significantly different curriculum from men. Rather, she hoped that university teachers would develop a greater awareness of women's issues and learn to connect their subjects with the particular concerns of their female students. She also wrote extensively on the philosophy of Saint Thomas Aquinas. She agreed with the Thomist view that the person, the body, and the soul form a unity. The body is essential, not simply a vehicle for the soul. Woman, she argued, possesses a unique soul, spiritually distinct from that of man. It follows that women's education should differ in some ways from men's. At the same time, she was clear in insisting that men are not superior to women. In her view, women naturally tend to focus on what is "human." They thus give relationships a higher priority than factors that men tend to emphasize, such as prestige, employment, achievement, and reputation. She viewed motherhood as a special and universal calling for women. However, as a professional woman, educator, and later as a Carmelite nun, she rejected the traditional notion that women should be limited to the role of homemakers. She thus defended the role of celibacy in religious life and also welcomed the gains that had been won for twentieth-century women in terms of workplace rights, voting, and other areas of growing equality with men. She also encouraged women to become politically active. As both a Catholic martyr and a Jewish victim of the Nazi death camps, Edith Stein stands as a bridge uniting the two traditions. Although her beatification was the occasion for Jewish protest, in the end she came to be accepted by many Jews as an example of the spirit of Catholic and Jewish solidarity which might have prevented the Holocaust. In addition to her life as a saint and martyr, Stein left a corpus of significant literary works dealing with philosophy, mysticism, education, and especially women's issues. On May 1, 1987, Edith Stein was beatified by John Paul II. She was canonized on Oct. 11, 1998. In 2008, her bust was scheduled to be introduced to the Walhalla temple in Regensburg. Several churches and schools are named for her. At Louvain, Belgium, the Archivum Carmelitanum Edith Stein was established for the study and publication of her works. ↑ "Patron Saints Index: Saint Teresa Benedicta of the Cross" Retrieved March 4, 2008. ↑ James Carroll, Constantine's Sword: The Church and the Jews—A History (New York: Mariner, 2002, ISBN 9780618219087). ↑ Edith Stein, "Problems of Women's Education" (1932). In Essays on Woman (ICS Publications, 1996, ISBN 0935216596). ↑ Edith Stein, "The Ethos of Woman's Professions" (1930). In Essays on Woman (ICS Publications, 1996, ISBN 0935216596). ↑ Evangelium Vitae 99 Retrieved August 13, 2013. This page was last modified on 10 June 2014, at 16:01.